Designed with a U.S. standard capacities of 1/4, 1/2, 1 teaspoon and 1 tablespoon, the Browne Foodservice stainless steel measuring spoon set is not only built with versatility and strength but also can help you with your cooking measurements and endeavors. Each of these stainless steel measuring spoons come on a metallic ring that keeps them together and easily accessible at the same time. 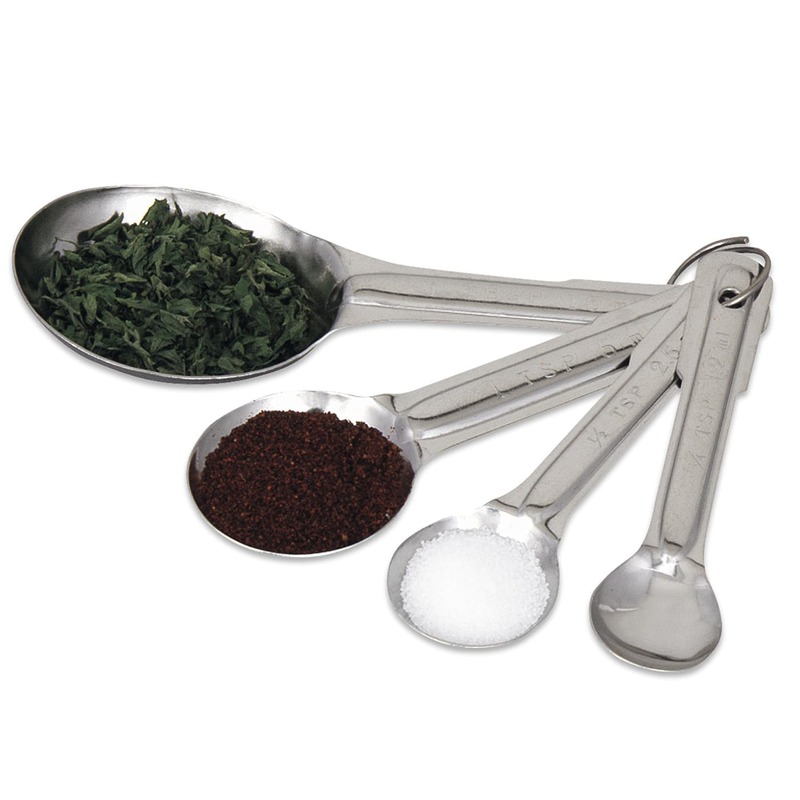 Simplify the cooking measurement process with the Browne Foodservice Stainless Steel Measuring Spoon Set today!